To know me is to know I love living with less… but I don’t love blank, cold minimalism. A space that’s just empty is not an empowered space. There’s a difference between a clutter-free, spacious environment and an empty space devoid of feeling. My own home is very white, but sprinkled with big pops of color and very exciting bookshelves and aromatherapy and music and crystals and more. That was a big lesson for me: minimalism, even the starkest of spaces, does not mean that there’s an absence of sensory richness. In fact, in spaces where you are living with much less, layers of fragrance, texture and even music will create a massively empowering environment! Suddenly the trend is white: white walls, white furniture, white rugs – all is white like a winter landscape frozen in time. In feng shui, we recognize the symptom, but we look for the cause, and thus we find that there is always a reason for a trend. An all-white environment speaks of minimalism, supporting the notion of “less is more.” Have we finally reached saturation point where excess is tipping the scale? Books are everywhere to help you de-clutter, clear your stuff and tidy up. And yet, black Friday is just the beginning of our shopping frenzy for the holidays. Do we really need more gadgets? Has last year’s tablet become this year’s dinosaur? Perhaps an empty, white environment is the antidote, a refuge from the bells and whistles of the mega mall. A white room is like a blank page, a tabula rasa, a new beginning with infinite opportunities yet to unfold. White is antiseptic, pristine and pure. In our world of germ phobias and sanitizers, white feels safe and antibacterial. The white lab coat still holds the promise of a cure and medical expertise; and a white flag has always been the sign of peace. 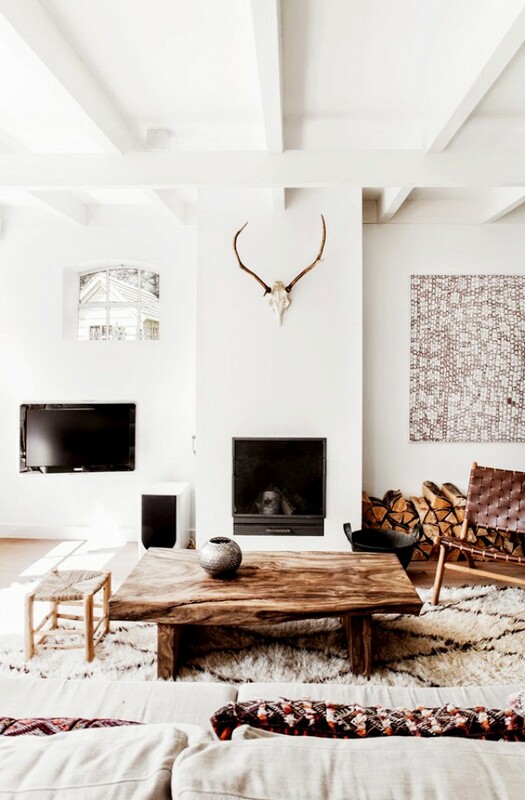 Although not part of the color wheel, white in pure contrast to black is indispensable for interior design. White is an achromatic color that reflects all visible light of the spectrum. A white interior, therefore, is the most tolerant of all decorating options. 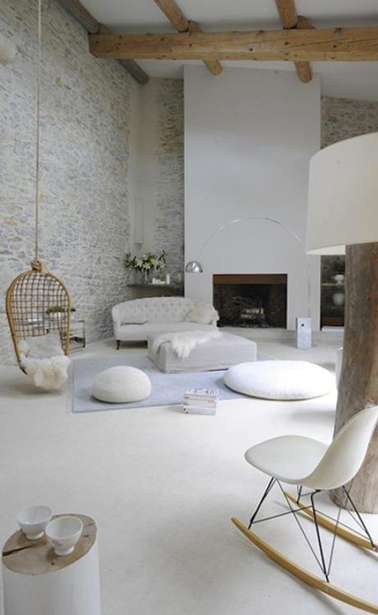 However, this neutral palette of an all-white environment would seem to be condemned by feng shui enthusiasts. According to basic feng shui principles, human beings feel best and most content when all senses and all elements are engaged. 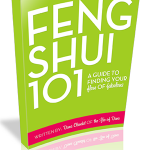 Is it possible, we ask, to have good feng shui in an all-white environment? 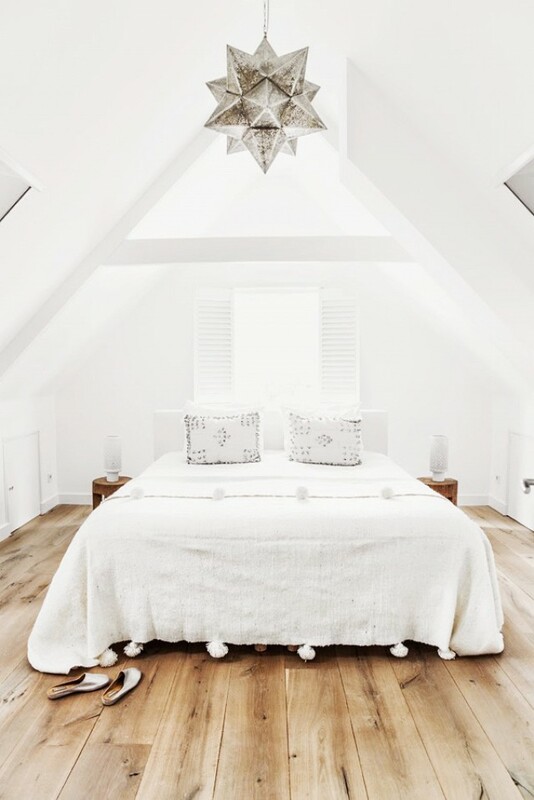 The answer is “yes,” and for all you trend setters and “all-white” advocates, we provide helpful tips to feng shui and support a monochromatic color scheme. Carefully distinguish and consider your haptic experience with sleek surfaces for kitchen and bathrooms, soft and plush textures in bedrooms, silky or tweedy fabrics in gathering spaces. Textures will support the elements when visual balance is absent. In an all-white environment, textured stripes and leggy furniture add wood element features. Roundness supports the metal element as e.g. Palladian windows. Since an all-white environment is predominantly metal and reduces the earth element, square shapes and rock crystals are desirable for auspicious feng shui adjustments. As an end note, let’s not forget our fish eye. 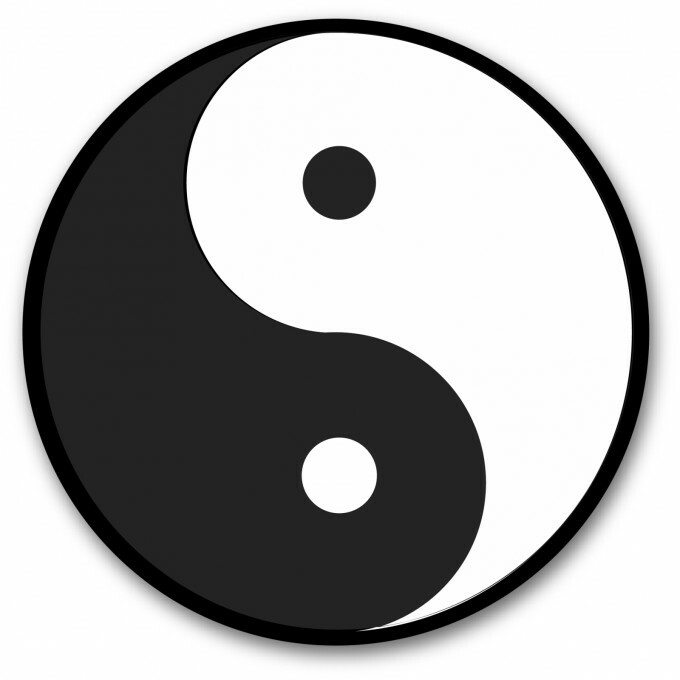 Yin & Yang, the grand ultimate symbol for balance, is a steady reminder that the seed of one is always contained in the other. The black dot in a white field should be replicated in all-white color schemes with at least one point of interest.